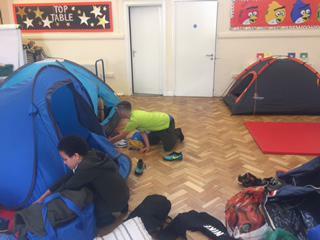 It was a glorious night for camping on Friday. 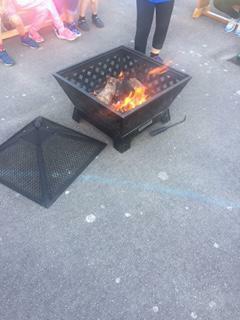 Beautiful weather, a nice dry hall to camp in, and a fire to sing around. 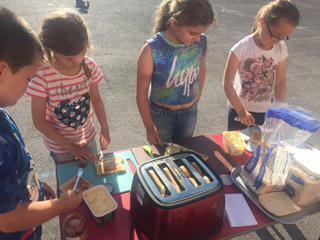 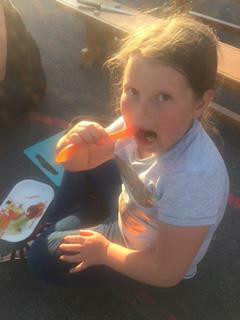 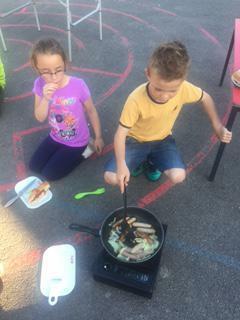 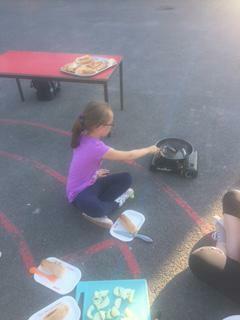 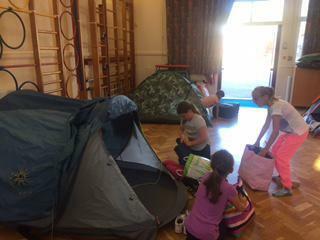 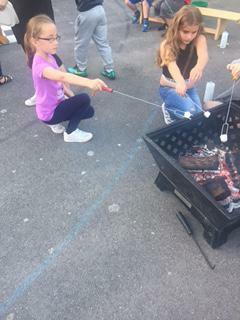 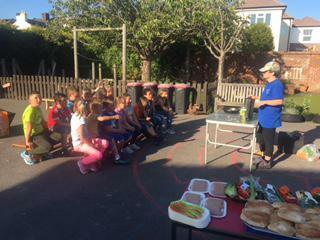 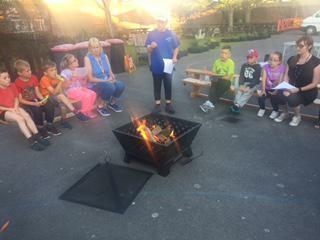 The children had a fantastic time toasting marshmellows and cooking sausages. 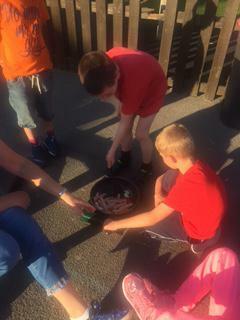 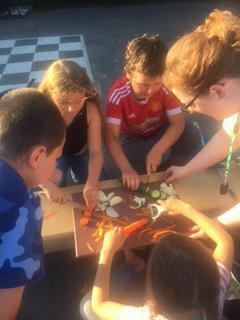 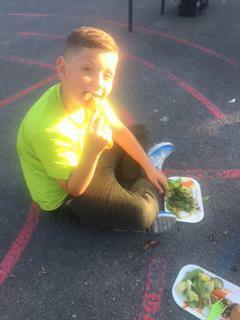 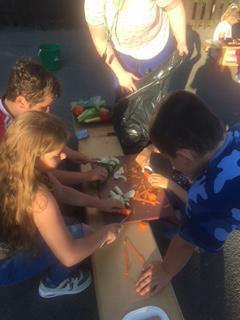 We had lots of salad to chop and the night was completed with a sing around the fire and a hot chocolate. 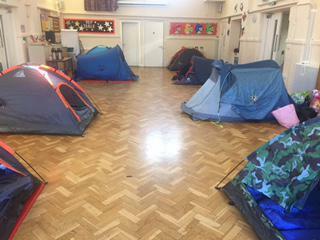 Who says you need a field to camp?